On Demand Weekly’s VOD Spotlight highlights stories in the On Demand industry. Adam Schartoff interviews writer-actor-director Edward Burns about his new film (“Nice Guy Johnny”), his ground-breaking digital distribution path and his recent promotional film tour across America. “Nice Guy Johnny” is available On Demand. On Demand Weekly: “Nice Guy Johnny” debuted On Demand on October 26. Countless indie fans are going to be see your film on the smaller screen. Do you think movies benefit from theatrical screenings over the television screen in any way? Ed Burns: I’m a realist when it comes to what has happened to the indie film business. A couple of thoughts about saying goodbye to the theatrical release: first off, when I was a kid in college and I first fall in love with movies, more specifically Woody Allen and Truffaut and Scorsese, all of those I watched, those films that made me want to do this for a living I saw off ratty video tapes on a 12” color TV in my dorm. To this day I’ve never seen “Annie Hall” projected. I’ve never seen “The Godfather” projected. I’ve never seen “400 Blows” projected. I’ve only seen all these great films on a television. And that’s how I fell in love with these films. So, do I wish that there were still an audience out there that could still support these films theatrically? Yeah, that would be great. But I want to reach as wide an audience as possible. For two reasons: for one, you have a story to tell and you want people to see it. And also, the red carpet has become so cumbersome that you can’t make any money with theatrical. So by going out with the VOD platform now, we’re going to be able to make real money. As long as we’re able to make real money we can get the next film made. That’s the name of the game. One thing we’re doing with “Nice Guy Johnny” that I hope we can continue to do in the future is we’re doing a really aggressive film festival/film society screening tour. I’ve already been to Boston. I’m going to Austin and San Francisco. I’m going to Chicago tomorrow. We were in Woodstock and Tribeca. I sit in a much nicer theater than most of the art houses around the country, certainly than the New York City art houses. ODW: You mean the ones over the subway stations? Among American directors, Clint Eastwood now stands perhaps only with Woody Allen in terms of his prolific output and his refusal to slow down. 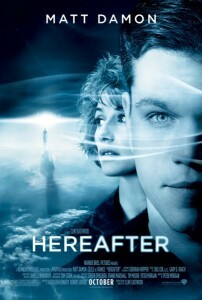 His 31st directorial effort, Hereafter begins with a huge splash and ends on a much drier note. And while the octogenarian director denies that the film’s subject—death and what comes after—is his way of coming to terms with his mortality, it’s a reasonable enough question to ask. Eastwood has barely ever touched upon the subject of the paranormal before Hereafter, the exception being an episode he directed for Stephen Spielberg’s 1980s anthology television series Amazing Stories. “Vanessa in the Garden” dealt with an artist who, after losing his wife in an accident, becomes so bereft he attempts to bring her back to life through his paintings. Twenty-five years later, the director returns to the subject of those grief-stricken left behind by the dead. And once again, Eastwood is working for Stephen Spielberg, one of Hereafter’s executive producers. (Spielberg turned down the opportunity to direct the picture himself.) There’s no use denying that the film feels more like a Spielberg film than one by Eastwood, from the CGI opening sequence—one of the most impressive in memory—to its Close Encounters like converging of multiple story lines. On Demand Weekly: How did you get started in film?Matt Dentler: I went to film school in Austin, Texas at UT. I took every possible film job you could imagine; from working on sets to volunteering at festivals and film organizations, to working at a video store. Some time after that, an internship during my freshman year at SXSW blossomed into a full-time job and then eventually into my role as the producer of that festival. I started film school thinking I would become a professional filmmaker but I soon realized that my true passion was on the business side. ODW: What persuaded you to leave a prominent film festival like SXSW to join FilmBuff? 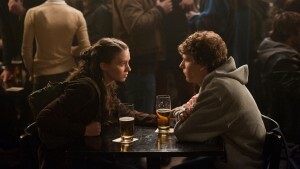 MD: When I started at SXSW in 2000 it was a different kind of film festival. By 2008 I felt at a place where I could feel proud of what I accomplished as the guy running the day-to-day operations. I was looking down the barrel of my 30s and felt like it was time for a change. Luckily, I got the call from [John] Sloss around the same time and it was a very natural fit. I’m really proud of all I did while I was at SXSW and I knew that it needed to mature under a different set of eyes because I would have become really lazy after a few more years. ODW: There’s a trend of films premiering simultaneously at film festivals [SXSW, Sundance, Tribeca, etc.] and on VOD. Any proof that it has helped the views on VOD for films fans who can’t attend the festivals? 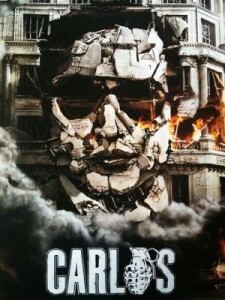 As compelling and often engrossing as Olivier Assayas’ new epic film about the terrorist Carlos the Jackal may be, there’s no reason to sit through the half-day version I saw. Originally intended as a three-part French TV series, and now hitting most American screens in a pared down two-and-a-half-hour edition, there’s simply no benefit to the five-and-a-half-hour Carlos. Mind you, there’s nothing wrong with a really long movie, except when it could have worked as a much shorter film. It might, in fact, have more dramatic heft in its shorter incarnation. The longer version only emphasizes that there’s no dramatic arc, no real character growth, and no big climax. 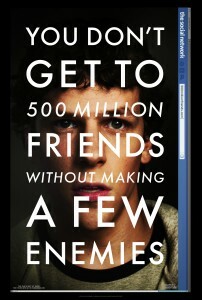 What is there left to say about “The Social Network”, David Fincher’s Rashomon tale about the birth of the most popular website and social media tool ever created? The film has been dissected by every blogger and film critic in existence. There’s been more forensics on this movie than on any season of CSI. From Aaron Sorkin’s script (outstanding) to Jesse Eisenberg’s deadpan performance (under appreciated), the film has been picked apart more than any other movie in recent memory. As the New York Times’ A.O. 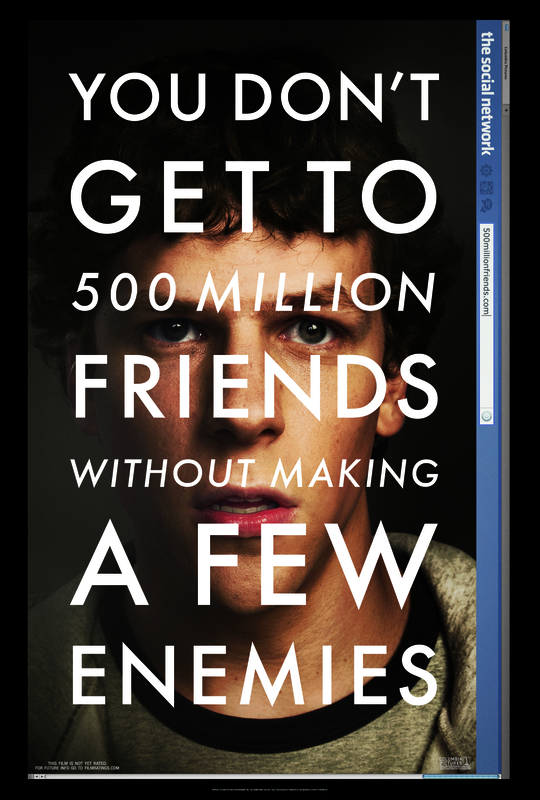 Scott pointed out, “The Social Network” has undergone all this scrutiny exactly like that other much-hyped film which came out earlier this summer, Inception. Both films were the subject of endless articles and blog entrees, much of it days and weeks before the movie even came out. As of now, a small number of people have seen the film, including the crowd who recently attended the opening night of the New York Film Festival. The word on the street is that it’s… surprise! a good movie. Yep, and that’s just what it is. Okay, but is there more to it? That’s harder to say. It’s not quite the life-altering classic that it’s purported to be. It’s just a really taut, smartly written suspense film that will appeal to a great cross-section of our country. Sort of like the population that uses Facebook.